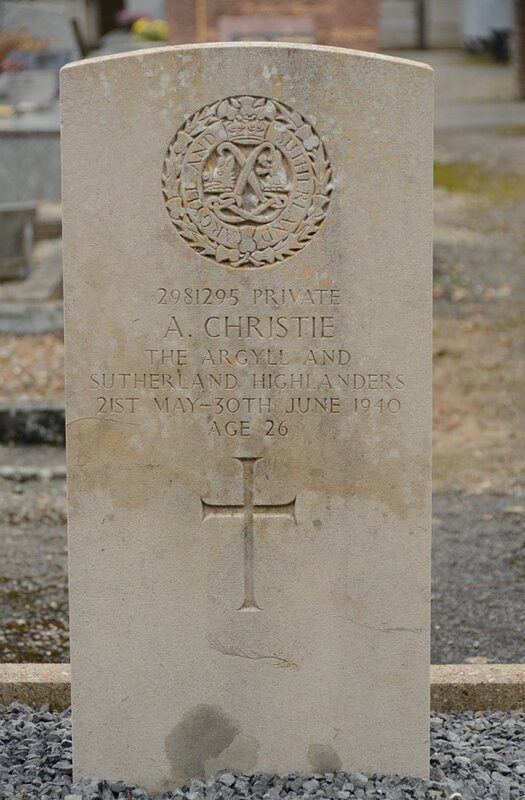 2981295 Private Archibald Christie, 7th Bn. 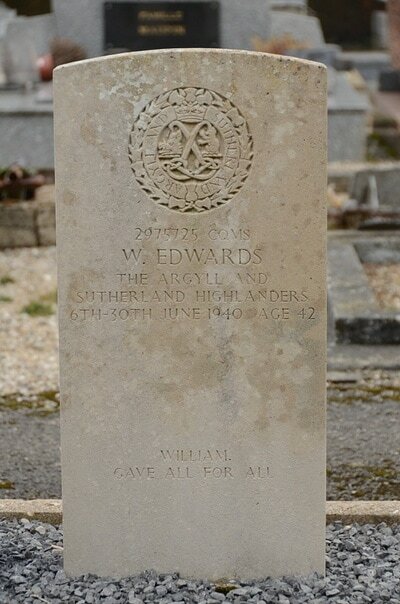 Argyll and Sutherland Highlanders, died between 21st May 1940 and 30th June 1940, aged 26. 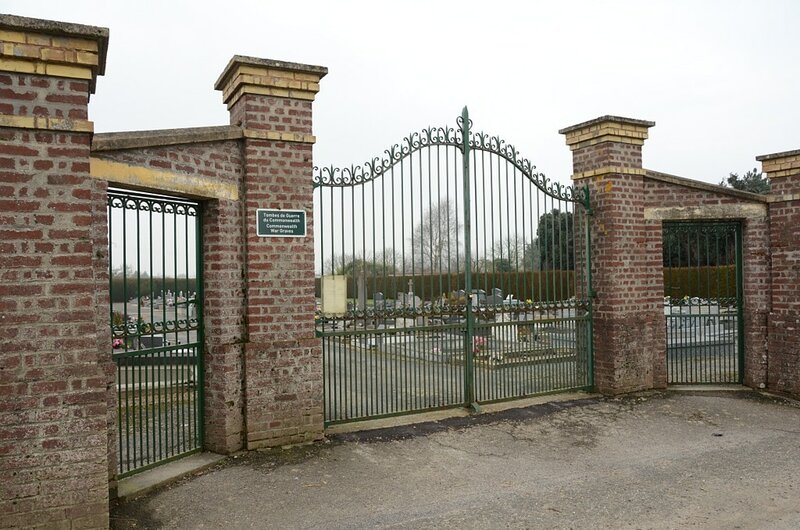 2975725 Company Quartermaster Sergeant William Edwards, 7th Bn. Argyll and Sutherland Highlanders, died between 6th June 1940 and 30th June 1940, aged 42. 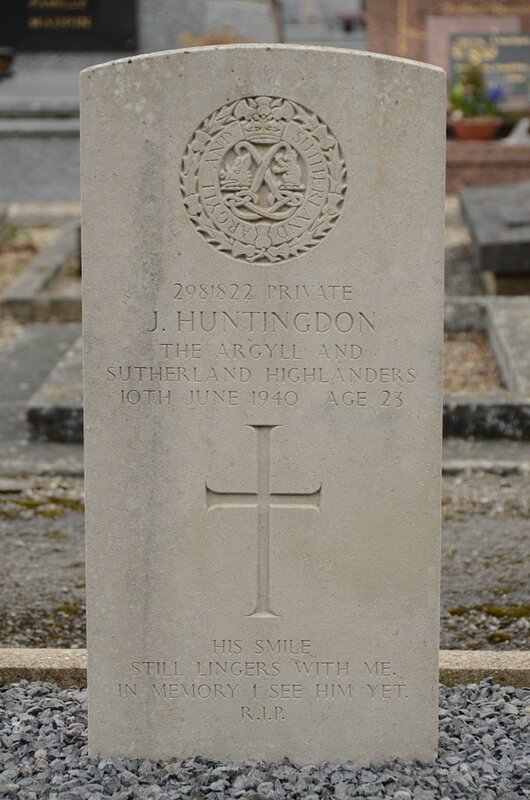 2981822 Private James Huntington, 7th Bn. 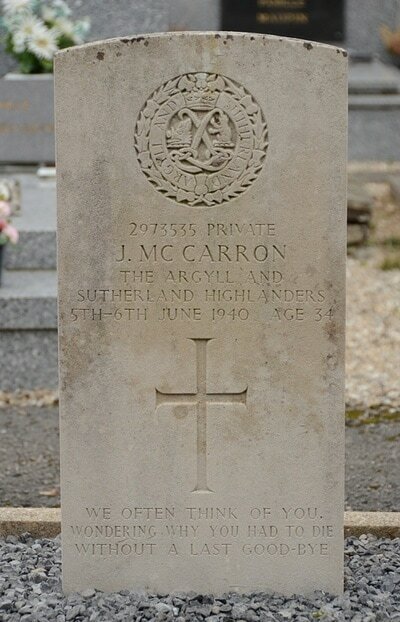 Argyll and Sutherland Highlanders, died 10th June 1940, aged 23. Son of George and Jean Huntingdon of Alloa, Clackmannanshire. 2973535 Private James McCarron, 7th Bn. 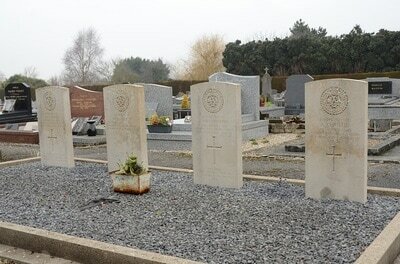 Argyll and Sutherland Highlanders, died between 5th June 1940 and 6th June 1940, aged 34. Son of Hugh and Mary McCarron of Glasgow; husband of Annie McCarron of Bridgeton, Glasgow.